Citation help for popular styles, including APA, MLA, Turabian, and Chicago, as well as some lesser known styles. On these pages you will find citation help for many different types of citation styles. 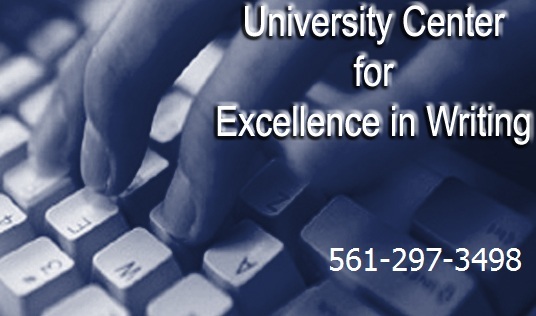 The University Center for Excellence in Writing (UCEW) is devoted to supporting and promoting academic and professional writing for all members of the FAU community, including undergraduate and graduate students, staff, faculty, and visiting scholars. See their additional locations in the dorms and FAU partner campuses. Many other U.S. universities also have excellent undergraduate writing centers. Check these out for more information. Visit our Citation Tools LibGuide for more information, links and tutorials. With RefWorks, users can create their own personal database by importing references from online databases. 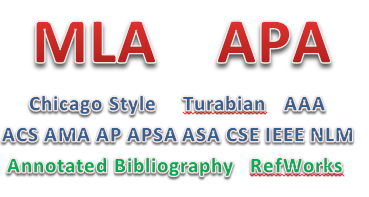 They can use these references in writing their papers and automatically format the paper and the bibliography in seconds.